The famous Inca temple of the sun in the centre of Cusco. There is a museum that has many strange rocks to show us. We got special permission to take pictures and video. That is to be seen on our DVD. Here we present some vitrified stones, that also here we were able to find and recognize. 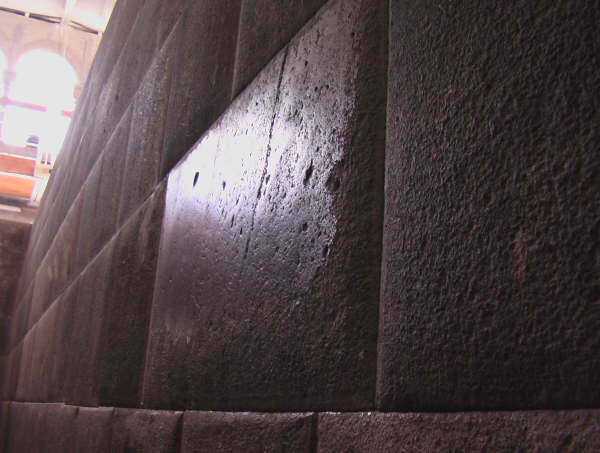 The walls here are of extreme precision and beauty! 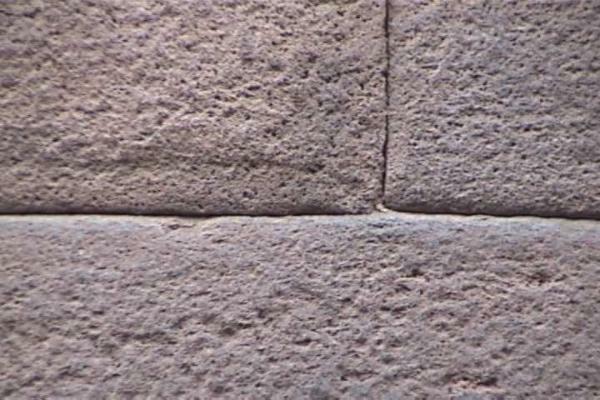 A vitrified stoneblock in a wall inside of Koricancha. small space between the upper laying blocks.